I'M busy. As a cook, December is my month. I stretch myself further than I think I can possibly stretch. I shine brighter than I think I could ever glow. More than anything, it's my month to really help others shine. To entertain, to celebrate, to wrap up their year, to provide for their loved ones through my food. December is jam-crammed and you need to be doing a zillion other things than reading my words, so I'll cut to the chase: Holiday shopping! I shop all year long for my nears and dears. December comes around and I normally just have to wrap and put presents under the tree. This week I'm here to help you with your holiday shopping list. 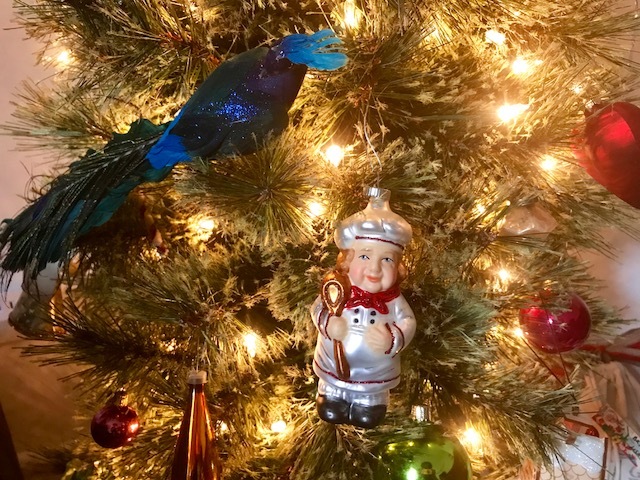 These are some my favorite (All Good) things that I am gifting this season. Big Love This is a big deal book. You know why? It's an open-hearted, open-minded, soul-filling, real-life inspirational book written by a man! 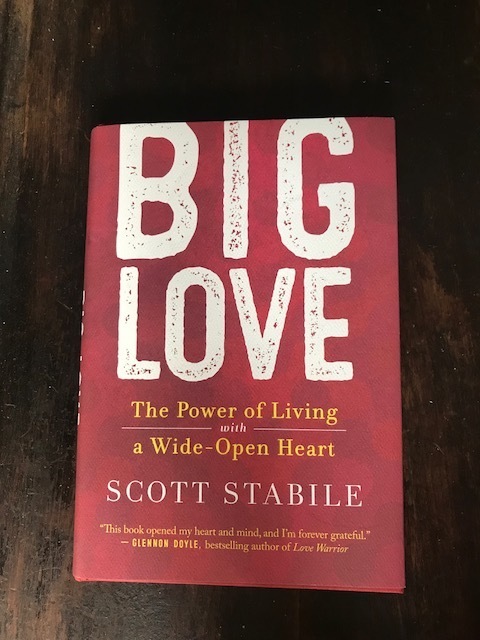 Our positive thought leaders who write books like this are normally women - the Glennon Doyle, the Brené Browns, the Elizabeth Gilberts - they now have a contemporary in Scott Stabile. (And these powerhouse women have endorsed Scott and his book!) Buy this for someone you love this holiday. And buy a copy for yourself! It's no secret I love bluegrass music, and no secret I'm a fan of pretty much everything Steve Martin does. Watching his movie, The Jerk, at 7 years old as a little girl in Southwest Missouri, I never dreamed I'd spend 17 years of my adult life in this man's home, helping his chef, Andy, bring dinners and special occasions to life. The songwriting and musicianship on this album are stellar, and those Steep Canyon boys are dreamboats. I think every single one of us would benefit from starting our day reading these words as we sip our coffee or tea and take on the world. Fishs Eddy is one of my favorite stores in New York City and the new line of products by Cleo Wade are really special. Believe it or not, I've never been to New Orleans, but I do know that chicory in your coffee is a 'thing' in NOLA and it is something I've adopted for myself. I mix in this little box with a pound of ground coffee beans and am rewarded with the sweet, smooth flavor of chicory and it stretches out my coffee grounds and makes them last longer. This is the perfect stocking stuffer for the coffee lover in your life. As I was leaving a party that I had catered last year, the client gifted me this tin of tea. He said, "This is really special tea, my friend makes it and I only give it to really special people who will appreciate it." 2 things: 1. When I drink this tea, I recall my client's generous words and remind myself that I am special. It's a powerful nightly ritual. 2. It is REALLY SPECIAL (delicious and comforting) tea! This organic, caffeine-free tea is the perfect way to wind down. The herbal blend was created to calm the nervous system and quiet the mind for restful sleep. It contains: organic Chamomile flowers, organic Peppermint leaf, organic Spearmint leaf, organic Lavender flowers, organic Lemon Verbena, organic Cornflowers, organic Rose petals, and organic Stevia. Remind someone how special they are and gift them this tea! Peppermint Halo One of the greatest gifts I received this year was my favorite Canadian brand opening up a store in New York City! I was skeptical about this little magic wand of peppermint oil, but now I'm a believer. I roll it on at night to seal in my day and prepare me for sleep. I roll it on aches and pains, after workouts at the gym, after long days of cooking standing on my feet, and I use it for headaches. A great stocking stuffer for someone who needs a pep in their step! Art Feeds is one of my favorite organizations. And my hometown chapters in Carthage and Joplin, MO are especially important to me. Their mission statement: ART FEEDS BELIEVES ALL CHILDREN ARE ARTISTS. WE EXIST TO feed CREATIVE DEVELOPMENT AND facilitate EMOTIONAL EXPRESSION IN CHILDREN THROUGH ART AND COMMUNITY. TO DO THIS, WE PROVIDE FREE THERAPEUTIC ART AND CREATIVE EDUCATION PROGRAMS WITHIN SCHOOLS & CHILDREN’S ORGANIZATIONS BY mobilizing TEAMS OF COMMUNITY MEMBERS TO BRING ALL FORMS OF ART INTO CLASSROOMS. Talk about All Good Things, they are doing ALL the good things! Support the Arts and donate here! Or buy this sweatshirt (or other Art Feeds clothing from the site - there's really fun stuff on there) for the artist in your life. All proceeds benefit the organization. My friends Alice and Stacy are light bringers. They invented this SolarPuff. They brought their solar light to Haiti to aid with hurricane relief and they have been on the ground for the last two months in Puerto Rico literally bringing light where there has been no electricity from the hurricane destruction there. You can be a light bringer and donate to help get more solar lights to people that are in the dark and you can buy a light for someone in your life who hikes, camps, fishes, hunts, anyone going on an adventure that could use a waterproof solar light. Throughout 2017 I have partnered with Pomora olive oil; developing recipes, creating content for them, and sharing their oils with my audience. I have to be honest, I've fallen in love. Pomora olive oils elevate my dishes, the flavors inspire me to come up with tasty new dishes for my clients, and I feel like I have a real connection with my food because I have a real connection with the trees and growers who produce this oil. That's what sets Pomora apart from other oil brands. You adopt a tree and then reap the benefits from the olive harvest all year long. It's such a unique opportunity and an incredible gift to give the cooks in your life. I love gingerbread. I love the warm spices that makeup gingerbread - ginger, cloves, cinnamon. They warm me up, they get me in the holiday spirit, and they lend themselves to savory and sweet applications. When you research gingerbread cake recipes, they are actually surprisingly similar. Ingredient lists all match, amounts all match. I knew I wasn't going to 'invent the wheel' by coming up with some new gingerbread cake recipe. Those recipes have been tried and tested, handed down through families and cooks, why change them? Um... because you have this luxurious olive oil that swaps out easily with the butter and makes a velvety batter, that bakes up into a pillowy moist cake, and the sweet earthy notes of the olive oil DANCE with the sweet and exotic notes of the gingerbread spices. Make this cake for the holidays! Wrap it up and give it to your doorman, your housekeeper, office mates, teachers and instructors, your neighbor, make a little cake for SANTA and put it under the tree! And adopt a tree and gift yourself or someone you love a year's worth of this delicious oil! Oil an 8x8-inch pan (Or 4 small tins to make individual cakes - I used a cleaned and dried empty soup can for one!). Preheat the oven to 350F. In a medium bowl, whisk together the flour, baking soda, cinnamon, ginger, cloves, salt, and pepper. In a large bowl, whisk together the olive oil, sugar, and egg. In a small bowl, stir the molasses into the hot water until completely blended. In the bowl of an electric mixer or with a handheld mixer, combine these 3 bowls, alternating dry ingredients, with the molasses water, with the egg, sugar, olive oil mixture until you have one smooth batter. Do not overmix. Pour the batter into the prepared pan (or pans) and bake for 40 to 50 minutes, or until a toothpick inserted into the cake comes out clean and the cake has pulled away somewhat from the sides of the pan. Cool in the pan for 5 minutes. Turn the cake(s) out onto a rack to cool. Slowly whisk the lemon juice into the powdered sugar to create a glaze. Smooth out any lumps. Drizzle over the cooled gingerbread. Let the glaze harden a bit before wrapping so it won't smear or stick.